Fresh Air Weekend: Scientology And Jimmy Kimmel Lawrence Wright's Going Clear: Scientology, Hollywood and the Prison of Belief looks at the world of the controversial church and the life of its founder, L. Ron Hubbard. This month, Kimmel sets up camp in the 11:35 p.m. slot, which puts him head-to-head with Jay Leno and his idol, David Letterman. Comedian Jimmy Kimmel interviews Mel Brooks on Jimmy Kimmel Live. 'Going Clear': A New Book Delves Into Scientology: Lawrence Wright's Going Clear: Scientology, Hollywood and the Prison of Belief looks at the world of the controversial church and the life of its founder, L. Ron Hubbard, who died in 1986. 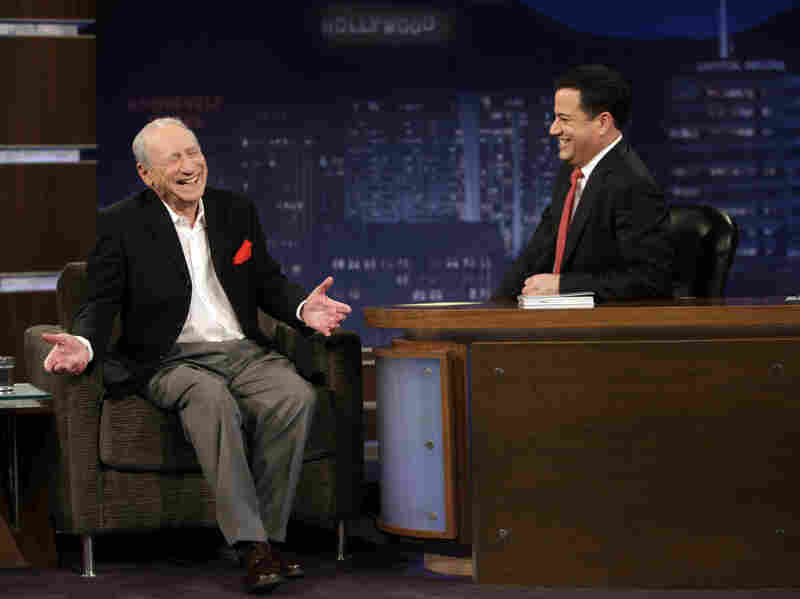 Jimmy Kimmel: Making Late Night A Family Affair: This month, the late-night talk-show host sets up camp in the 11:35 p.m. slot, which puts him head-to-head with Jay Leno and Kimmel's idol, David Letterman. Kimmel has put a personal mark on his show by bringing in his family to help him make it happen.